We are a family run garden centre that is well known nationally as a specialist for bare rooted hedging plants and young trees. The Garden Centre always has a good selection of shrubs and plants which are not commonly found elsewhere, together with a wide range of the more commonly sought after plants. Established for over 50 years, the Garden Centre has recently been redeveloped to a high standard. Our shop contains the largest selection of seeds and bulbs for miles around, together with garden chemicals, tools, garden furniture and many other goods. Outside we stock peat-based and peat-free composts, paving, fencing, timber decking, garden buildings and greenhouses, and a large range of pots, statues and garden ornaments. Our aquatics centre has a good reputation for their excellent quality tropical, marine and cold water fish. The Gardeners' Retreat, our coffee shop/restaurant, serves fresh home cooked food and is an excellent way to round off any visit to the Garden Centre. 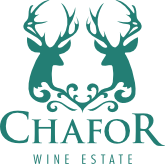 CHAFOR is an exciting new boutique family wine estate from the heart of rural Buckinghamshire, which benefits from similar growing conditions to the Champagne region in France. Located between the Bicester Designer Outlet Village and Silverstone’s prestigious Grand Prix F1 circuit, this English vineyard is ideally placed as a visitor attraction for guided tours by the wine maker and cellar door wine tastings and sales - appointments are not always necessary. Chafor Wine Estate wines can be bought from the Garden Centre. We stock three varieties, Rose, Chardonnay and a Bacchus wine. Intensely golden, complex and full-bodied with delicate aromas of soft ripe pineapple and papaya. Creamy with subtle layers of vanilla smokiness, this is an elegant wine with distinctly moreish qualities and a long balanced finish. Crisp, elegant and refined, this wine reflects the true varietal character of this quintessentially English grape with a balance of elderflower, inviting minerality and zesty tropical undertones. A mouth-watering balance of ripeness and elegance. Bright aromas of wild strawberries mingle with soft forest fruits and peppery undertones. Rich and vibrant with refreshingly moreish qualities and a long balanced finish. Tingewick Road, Buckingham, MK18 4AE, UK.